Before :- Arijit Pasayat and C.K. Thakker, JJ. For the Appellant :- Ajay Majithia, Shekhar K. Sinha and S.B. Upadhyay, Advocates. For the Respondents :- Sushil Karanjakar, Vishwajit Singh and R.K. Adsure, Advocates. Arijit Pasayat, J. - The appellant calls in question legality of the order passed by a Division Bench of the Bombay High Court dismissing the Criminal Writ Petition No. 1013 of 1997 filed by the appellant. "To call for record and proceedings of Sessions Case No. 62/89 in Cr. No. 257/87 pending before J.M.F.C. Vasai for consideration. To issue writ of mandamus and not any other writ, order or direction to transfer the investigation of Cr. No. 257/87 from State CID to any other impartial investigating agency and/or to Senior P.I. Manickpur Police Station, Vasai under the supervision of Superintendent of Police, Thane (Rural). 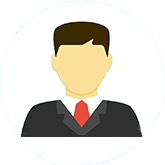 To issue a writ of mandamus and/or any other writ, order or direction in the nature of writ of mandamus calling upon the Sessions Judge, Palghar to try and dispose of Sessions Case No. 62/89 within 3 months from the date of committing the case to Sessions Court. To direct the learned J.M.F.C. Vasai to discharge the four adivasis accused in the Sessions Case No. 303/89 and commit the present Respondent Nos. 2 to 9 to Sessions Court for trial. If it is found just and proper the concerned authorities may be directed to take disciplinary action against the judicial and police officer to avoid the miscarriage of justice in future. Petitioner may be awarded the costs of this petition. To pass any other order which Your Lordship deem fit in the interest of justice." 2. The High Court had originally issued notice before admission to the Inspector of Police State CID, who filed an affidavit on 10th March, 1998. Appellant's grievance primarily was that the respondent Nos. 2 to 9 herein (who were the respondents before the High Court in the Writ Petition) had allegedly killed his brother and caused grievous injuries to his nephew. The first information report in this regard was registered on 29.6.1987 bearing C.R. No. 257 of 1987. The High Court noted that the case had been committed under orders passed by learned Magistrate and was pending in the Court of Sessions, Palghar as Sessions Case No. 303 of 1989. The High Court, therefore, was of the view that when the case was pending before the Sessions Court, there was no question of transferring investigation to some other agency. It also noticed that C.R. No. 258 of 1987 of the Vasai Police Station where the appellant figured as an accused is the subject matter of Criminal Case No. 32 of 1990 pending before the Learned J.M.F.C. Vasai, pursuant to which charge sheet was filed. In that view of the matter the High Court found that there was no scope for entertaining the grievances as raised by the appellant. 3. In the present Appeal the appellant has made serious allegations about the competence and fairness of not only the Investigating Officers but also some of the judicial officers. It appears that originally the investigating agency had filed a petition for closing the matter pursuant to the FIR lodged by the appellant. Learned Judicial Magistrate, First Class, Vasai had passed orders accepting the prayer made by the Police Commissioner, C.I.D. Bombay Division to release the present respondent Nos. 2 to 9 as per the provisions of the Section 169 of the Code of Criminal Procedure 1973, (in short the 'Code'). The order was assailed in revision before the learned IV Additional Sessions Judge, Thane, who by order dated 19th February, 1996, in Criminal Revision Application No. 103 of 1999, set aside the order. Direction was given to the learned Magistrate to refer the matter to the concerned Investigating Officer for further investigation under sub-section (3) of Section 156 of the Code. Pursuant to the order several proceedings in several courts have taken place and the matter is travelling from one court to another. Learned J.M.F.C. Vasai on 23.6.1997 directed the investigating officer to further investigate as per the directions given. It appears that on 4.4.1997 learned Additional Sessions Judge, Palghar, passed order on the report of the Investigating Officer dated 28.1.1997 and the matter was sent to the Judicial Magistrate, Vasai with direction of passing necessary order. The Investigating Officer had reported that certain action, pursuant to the direction given, has been taken. Considering the circumstances, the writ petition was dismissed. 4. Learned counsel appearing for the appellant submitted that when there has been total failure of justice on account of laxity of the Investigating Agency there was need for change of the Investigating Agency for further and better investigation. It was also submitted that some of the judicial officers did not act within the four corners of law and did not take note of the observations made by the learned Additional Sessions Judge. It was submitted that when Investigating Agency and judicial officers had not acted rationally and in accordance with law, the High Court should have accepted the prayers made. 5. In response, learned counsel appearing for the respondents submitted that the appellant has unnecessarily prolonged the proceedings and investigating officers and/or the judicial officers were not supposed to act in the manner the appellant desires, they have to act as provided in law. It is also submitted that course available to be adopted in case final report is submitted, has been indicated by this Court in several cases and if the appellant has any grievance the same can be redressed in the manner provided in law and not in the way the appellant desires, and certainly not in a writ petition. He can file a protest petition if permissible in law. "....There can, therefore, be no doubt that when, on a consideration of the report made by the officer in charge of a police station under sub-section (2)(i) of Section 173, the Magistrate is not inclined to take cognizance of the offence and issue process, the informant must be given an opportunity of being heard so that he can make his submission to persuade the Magistrate to take cognizance of the offence and issue process. We are accordingly of the view that in a case where the Magistrate to whom a report is forwarded under Sub-section (2)(i) of Section 173 decides not to take cognizance of the offence and to drop the proceeding or takes the view that there is no sufficient ground for proceeding against some of the persons mentioned in the First Information Report, the Magistrate must give notice to the informant and provide him an opportunity to be heard at the time of consideration of the report..."
7. Therefore, there is no shadow of doubt that the informant is entitled to a notice and an opportunity to be heard at the time of consideration of the report. This Court further held that the position is different so far as an injured person or a relative of the deceased, who is not an informant, is concerned. They are not entitled to any notice. This Court felt that the question relating to issue of notice and grant of opportunity as afore- described was of general importance and directed that copies of the judgment be sent to the High Courts in all the States so that the High Courts in their turn may circulate the same among the Magistrates within their respective jurisdictions. 8. In Abhinandan Jha and another v. Dinesh Mishra (AIR 1968 SC 117), this Court while considering the provisions of Sections 156(3), 169, 178 and 190 of the Code held that there is no power, expressly or impliedly conferred, under the Code, on a Magistrate to call upon the police to submit a charge-sheet, when they have sent a report under Section 169 of the Code, that there is no case made out for sending up an accused for trial. The functions of the Magistracy and the police are entirely different, and the Magistrate cannot impinge upon the jurisdiction of the police, by compelling them to change their opinion so as to accord with his view. However, he is not deprived of the power to proceed with the matter. There is no obligation on the Magistrate to accept the report if he does not agree with the opinion formed by the police. The power to take cognizance notwithstanding formation of the opinion by the police which is the final stage in the investigation has been provided for in Section 190(1)(c). 9. When a report forwarded by the police to the Magistrate under Section 173(2)(i) is placed before him several situations arise. The report may conclude that an offence appears to have been committed by a particular person or persons and in such a case, the Magistrate may either (1) accept the report and take cognizance of the offence and issue process, or (2) may disagree with the report and drop the proceeding, or (3) may direct further investigation under Section 156(3) and require the police to make a further report. The report may on the other hand state that according to the police, no offence appears to have been committed. When such a report is placed before the Magistrate he has again option of adopting one of the three courses open i.e., (1) he may accept the report and drop the proceeding; or (2) he may disagree with the report and take the view that there is sufficient ground for further proceedings, take congnizance of the offence and issue process; or (3) he may direct further investigation to be made by the police under Section 156(3). The position is, therefore, now well-settled that upon receipt of a police report under Section 173(2) a Magistrate is entitled to take cognizance of an offence under Section 190(1)(b) of the Code even if the police report is to the effect that no case is made out against the accused. The Magistrate can take into account the statements of the witnesses examined by the police during the investigation and take cognizance of the offence complained of and order the issue of process to the accused. Section 190(1)(b) does not lay down that a Magistrate can take cognizance of an offence only if the Investigating Officer gives an opinion that the investigation has made out a case against the accused. The Magistrate can ignore the conclusion arrived at by the Investigating officer and independently apply his mind to the facts emerging from the investigation and take cognizance of the case, if he thinks fit, exercise of his powers under Section 190(1)(b) and direct the issue of process to the accused. The Magistrate is not bound in such a situation to follow the procedure laid down in Sections 200 and 202 of the Code for taking cognizance of a case under Section 190(1)(a) though it is open to him to act under Section 200 or Section 202 also. [See M/s India Sarat Pvt. Ltd. v. State of Karnataka and another (AIR 1989 SC 885)]. The informant is not prejudicially affected when the Magistrate decides to take cognizance and to proceed with the case. But where the Magistrate decides that sufficient ground does not subsist for proceeding further and drops the proceeding or takes the view that there is material for proceeding against some and there are insufficient grounds in respect of others, the informant would certainly be prejudiced as the First Information Report lodged becomes wholly or partially ineffective. Therefore, this Court indicated in Bhagwant Singh's case (supra) that where the Magistrate decides not to take cognizance and to drop the proceeding or takes a view that there is no sufficient ground for proceeding against some of the persons mentioned in the First Information Report, notice to the informant and grant of opportunity of being heard in the matter becomes mandatory. As indicated above, there is no provision in the Code for issue of a notice in that regard. 10. We may add here that the expressions 'charge-sheet' or 'final report' are not used in the Code, but it is understood in Police Manuals of several States containing the Rules and the Regulations to be a report by the police filed under Section 170 of the Code, described as a "charge-sheet". In case of reports sent under Section 169, i.e., where there is no sufficiency of evidence to justify forwarding of a case to a Magistrate, it is termed variously i.e., referred charge, final report or summary, Section 173 in terms does not refer to any notice to be given to raise any protest to the report submitted by the police. Though the notice issued under some of the Police Manuals states it to be a notice under Section 173 of the Code, though there is nothing in Section 173 specifically providing for such a notice. ".....the Magistrate must give notice to the informant and provide him an opportunity to be heard at the time of consideration of the report..."
12. Therefore, the stress is on the issue of notice by the Magistrate at the time of consideration of the report. If the informant is not aware as to when the matter is to be considered, obviously, he cannot be faulted, even if protest petition in reply to the notice issued by the police has been filed belatedly. But as indicated in Bhagwant Singh's case (supra) the right is conferred on the informant and none else. 13. When the information is laid with the Police, but no action in that behalf is taken, the complainant is given power under Section 190 read with Section 200 of the Code to lay the complaint before the Magistrate having jurisdiction to take cognizance of the offence and the Magistrate is required to enquire into the complaint as provided in Chapter XV of the Code. In case the Magistrate after recording evidence finds a prima facie case, instead of issuing process to the accused, he is empowered to direct the police concerned to investigate into offence under Chapter XII of the Code and to submit a report. If he finds that the complaint does not disclose any offence to take further action, he is empowered to dismiss the complaint under Section 203 of the Code. In case he finds that the complaint/evidence recorded prima facie discloses an offence, he is empowered to take cognizance of the offence and would issue process to the accused. These aspects have been highlighted by this Court in All India Institute of Medical Sciences Employees' Union (Reg.) through its President v. Union of India and others, 1997(4) RCR(Crl.) 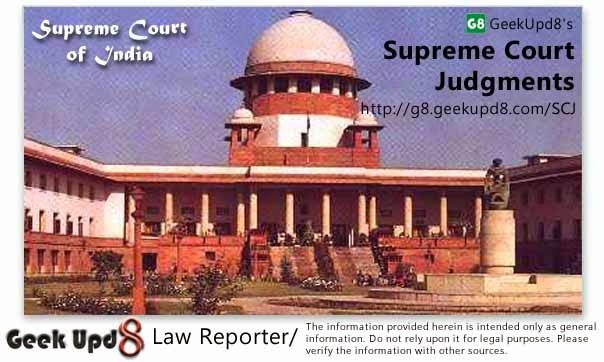 594 (SC) : (1997 Supreme Court Cases (Crl.) 303). It was specifically observed that a writ petition in such cases is not to be entertained. The inevitable conclusion is that the High Court's order does not suffer from any infirmity. The writ application was not the proper remedy, and without availing the remedy available under the Code, the appellant could not have approached the High Court by filing a Writ application.